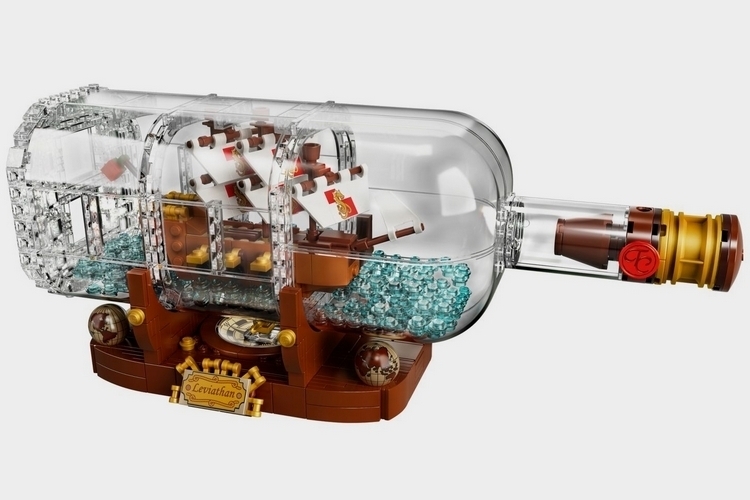 Building a ship in a bottle is definitely more time-consuming than building most LEGO models. 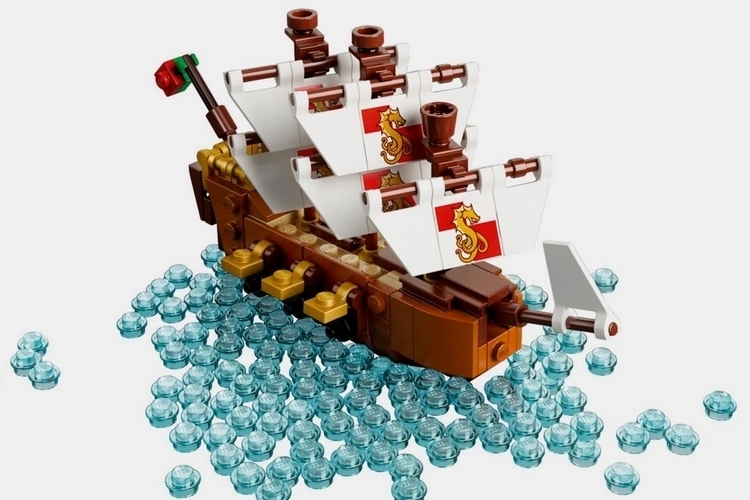 So those who’ve always wanted to build one but don’t quite have the patience for it, the LEGO Ideas Ship in a Bottle might offer a less frustrating alternative. No, there’s no actual bottle involved in building this project, so there’s no need to use tiny tweezers to assemble the darn thing. 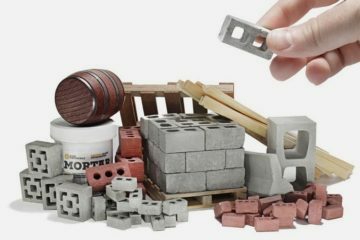 Instead, even the bottle is made from snap-on LEGO parts, ensuring you can put this together the same way you would any LEGO set in your collection, whether it be a city building, a mining facility, or Joker’s Manor. The LEGO Ideas Ship in a Bottle recreates the nautical tradition in snap-on construction brick form, allowing you to build the classic impossible bottle puzzle without having to slave away using thin sticks and specialized tools. Yes, you can actually assemble the ship and its surrounding elements first before assembling the bottle it’s going to be housed in, so at no point will you need to jump through any mental hoops trying to figure out how to fit things into a tiny bottle’s mouth. 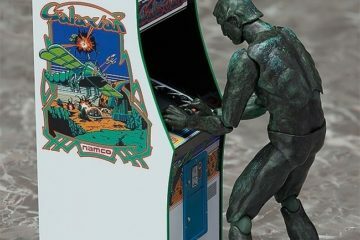 It comes with a detailed ship that has a raised deck at the stern, complete with a captain’s quarters where the shipmaster can take charge of the vessel. Three masts hold all five of the ship’s printed sails, along with a flag for announcing its identity as it sails into any location. Afraid of pirates attacking your ship and taking all your belongings? Not a problem, as the darn thing is equipped with six cannons that will allow you to fight back and defend what is rightfully yours. 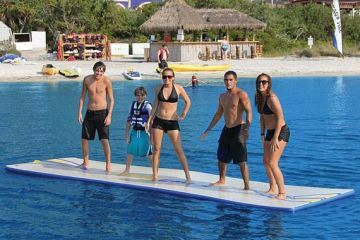 On its own, the ship measures 3 x 5 x 1 inches (height x length x width). 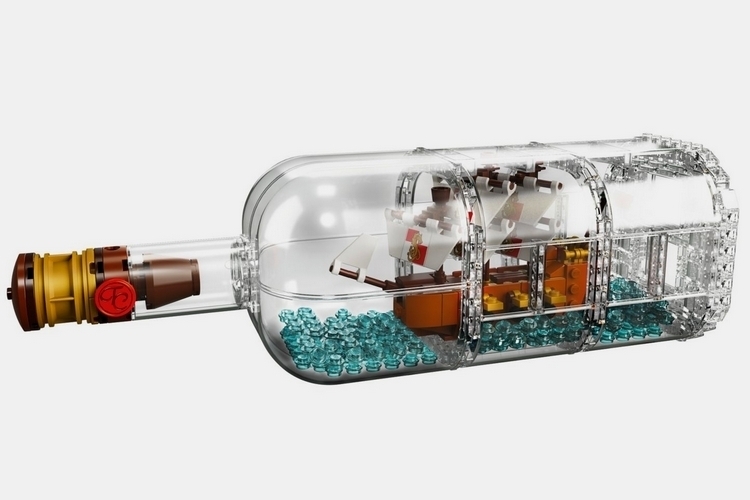 The LEGO Ideas Ship in a Bottle comes with water elements designed to surround the ship, which are comprised of 280 translucent-blue pieces meant to recreate the appearance of the ocean. Well, if the ocean looks like tiny round buttons arranged side by side on a flat panel. 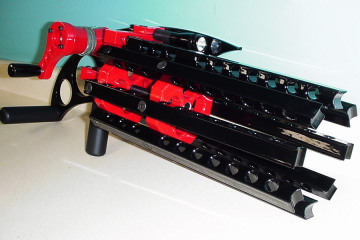 All of that is housed in a plastic bottle comprised of multiple parts that can snap on and off just like other LEGO models, making it easy to assemble it around the finished ship. Heck, there’s even a cork designed to cover the bottle’s mouth, which is also comprised of LEGO parts, along with a wax seal element. Once assembled, that bottle goes on top of a display stand for showing it off on a shelf like a real ship in a bottle. The stand sports a nameplate displaying its name (Leviathan), a non-functional compass with a gold-colored needle, two globe elements, and gold paint detailing. 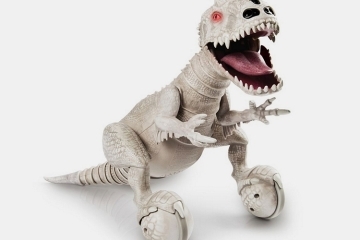 A total of 962 pieces are included in the set, which, according to LEGO, is suitable for children 12 ages and up. 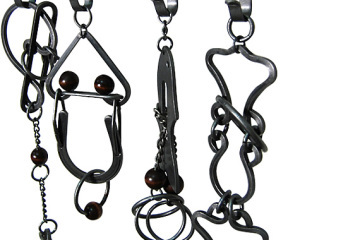 Fully assembled, the whole thing measures 3 x 12 x 3 inches (height x width x depth). 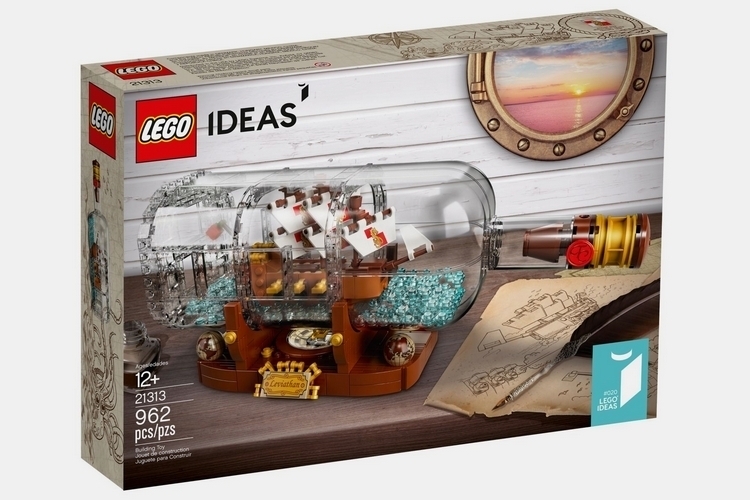 Available now, the LEGO Ideas Ship in a Bottle is priced at $69.99.